Perception: Updating my kitchen will cost a lot of time, money, & energy. Reality: small, simple updates for your kitchen can be extremely affordable & easy, and, can completely change the look & feel of your kitchen. We at DBS Remodel are well aware that not everyone has the budget for a kitchen remodel, therefore, we’ve compiled a list of updates that anyone can utilize and apply in their space. Let the frugal folks rejoice, as most these updates can be done for under $500 (or even less!) and additionally can be done in a weekend! Most these updates are fairly simple; however, some may require additional help/assistance. Update Containers – This update is as simple as it seems! 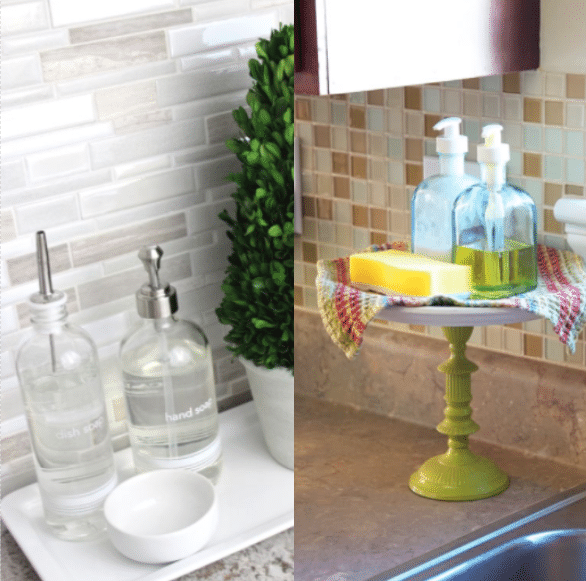 Swapping out dish & hand soap contains can lend a quick, updated look for your sink; additionally, consider changing the soap dish to a chic plate or simple cake stand. If you’re one to keep everyday ingredients out (sugar, coffee, salt, flour, etc.) update these containers as well. Most of these containers vary in size & style, so utilize the ones that best fit your kitchen’s style and function. Oversized mason jars offer a simple, rustic touch, while white ceramic contains are clean and modern. Apply the same school of thought for utensil containers as well. BONUS: counter utensils that are of the same material (wood, stainless steel, etc.) offer a cleaner, uniform look. Replace Faucet – Keeping on topic with sinks, replacing the faucet is an easy upgrade! When doing this, it’s important to keep in mind its functionality (i.e. touch technology) and your sink itself—is the basin shallow or deep? While fixing-out the faucet is a simple improvement, it’s necessary to consider these aspects before changing it out. 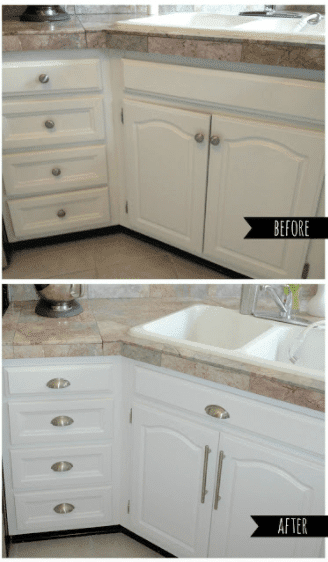 New Knobs – This upgrade is one of our personal favorites because it can completely change the look and aesthetic of your kitchen’s cabinets. If deciding on new knobs seems a bit intimidating, check out our “Hard Choice of Hardware” blog to learn more! Your cabinets can require a combination of knobs and pulls, so be sure to know exactly what’s needed prior to the selection process. Keep in mind the color/finish you’d like to use, too! Lighting – While this update may require the help of a professional, it is well worth it! Upgrading the lighting in your kitchen can add to the overall aesthetic appeal of the space. When upgrading the lighting, consider the style of your kitchen, if it will accent any finishes or appliances, and (most importantly) it’s placement. Pendant lighting works perfect over islands and dining tables, while track lighting may be better suited for galley kitchens. And, if you’re going to hire a professional, consider installing recessed lighting if your kitchen does not already have such. Check out our partners DS Electric to help with this update! Stainless Steel Adhesive – You don’t need to buy all new appliances to have stainless in your kitchen, there’s an adhesive for that! Yes, you read right—you can buy stainless steel adhesive for your appliances. Stainless steel appliances instantly update any kitchen, but be forewarned, this update requires patience and a steady hand! Check out your local hardware store for purchase, or Amazon. Peel & Stick Backsplash – Similar to stainless steel adhesive, there’s also peel & stick backsplashes, which offers an instant upgrade! There are varying styles and types of peel & stick backsplashes, so be sure to thoroughly do your research prior to installation, as some products may require grouting. As most updates necessitate, be sure to consider what’s best suited for the style of your kitchen and cabinetry. BONUS: apply this upgrade to your RV’s mini kitchen to give it also give it an instant upgrade! Paint – If you’re going to do only one of these updates, we recommend this one by far. We will continue to state that a fresh coat of paint works wonders for any space and can easily make all the difference! To help with selecting the right color for your kitchen, we recommend considering these factors: how much natural light is in the kitchen, what light bulbs are used in the space (believe me, a bad bulb can make the right color look wrong quick!) the lighting situation in general, and the color of your cabinets & countertop. For reference, white cabinets coordinate best with cooler tones, while wood cabinets do for warmer tones; when in doubt, stick with neutrals! Décor – If painting, resurfacing, or replacing isn’t in the cards for your kitchen, then go shopping – more specifically, décor shopping. Give yourself a decorating budget, then work within the parameters you set for yourself and kitchen! Try checking out your local flea market for a few unique, vintage items (i.e. stools, wall art, retro kitchen tools) and/or venture into niche décor stores that are sure to guarantee a few staple items (Hobby Lobby, Home Goods, TJ Maxx, etc.) Finish by adding candles and greenery; fresh flowers, sage, or herbs all add the right amount of plant-life and coziness! 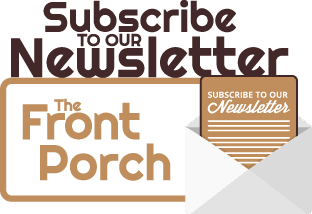 BONUS – If needed, most of these updates can be applied to your bathroom – now that’s frugal! Perception: Updating my kitchen will cost a lot of time, money, & energy. Reality: Nope! We at DBS Remodel understand that not everyone has a budget to do a remodel, however, we hope these easy updates can help improve the quality and appeal of your home and kitchen! 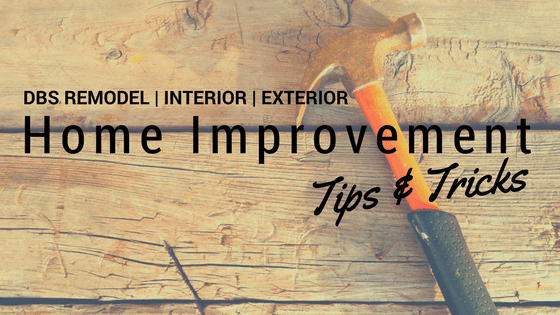 Interior Renovations – Refreshed Reno’s For Your Home →← Home Improvement Tips & Tricks: Hard Choice for Hardware?